Analysts are divided as to whether Winterkorn has emerged as a weaker or stronger figure following last week's management reshuffle at VW. BERLIN (Reuters) -- Volkswagen Group's management reshuffle may fail to generate the momentum Europe's largest carmaker needs to tackle stubborn structural problems that have been amplified by slumping sales in China, according to industry experts. VW last week paved the way for CEO Martin Winterkorn to serve two more years until the end of 2018, and for finance chief Hans Dieter Poetsch to become chairman. This ended the management uncertainty that has weighed on the carmaker since former Chairman Ferdinand Piech was ousted in April after a power struggle with Winterkorn over strategy. But some analysts said the decisions represented a missed opportunity to bring outside expertise into the German group, where years of sales and earnings growth have masked a profitability gap with rivals and structural deficiencies. The company is adopting a new structure to overcome underperformance abroad and is seeking 5 billion euros ($5.55 billion) of annual cost savings at its troubled core division. "The choice of continuity (with CEO Winterkorn's contract also extended) over fresh blood is surely not the radical change investors would have hoped for," said Exane BNP Paribas analyst Stuart Pearson. Although VW has eclipsed Toyota as the world's biggest carmaker by sales, it has proven to be a difficult company to manage as reforms can be blocked by labor representatives, who hold half the seats on the 20-member supervisory board, and its home state of Lower Saxony, which controls a 20-percent stake in the company. Analysts are also divided as to whether Winterkorn has emerged as a weaker or stronger figure following last week's decisions, as he seeks to push through the reforms and take the carmaker into a new era that could be dominated by self-driving technology. Poetsch's appointment ensures that Winterkorn will not be subject to a chairman brought in from outside the firm - something preferred by Piech and many investors who have criticized centralization in management under the CEO's eight-year tenure. Company sources have said Winterkorn's excessive personal involvement on product strategy and quality control has in the past delayed launches of models such as VW's Golf and Lamborghini's Aventador. Buoyed by his contract extension, the CEO could seek to engage new VW brand chief Herbert Diess and Poetsch to push through cutbacks and restructuring at costly German sites which would be crucial to turning around the VW brand, analysts said. This could mean Diess, a former BMW executive who only joined the company in July, would be vulnerable as VW's labor representatives have a track record of ousting cost-cutters. Former VW CEO Bernd Pischetsrieder and ex-VW brand chief Wolfgang Bernhard were both forced out after clashing with labor leaders over cost plans. 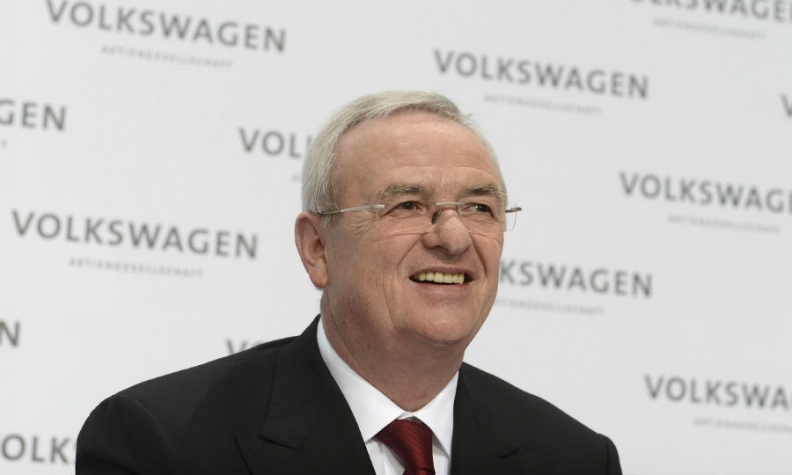 Some analysts say, however, that 68-year-old Winterkorn's position has been weakened as he retains limited operational duties after ceding the helm of the VW brand to Diess and may never attain his goal of becoming chairman if Poetsch were to serve out a full five-year term. The finance chief is due to be elected to the VW board in November. One source familiar with VW's thinking said on Friday the CEO could even leave before 2018, once the carmaker has achieved efficiency targets and implemented structural changes, adding that potential successors such as Diess and Porsche CEO Matthias Mueller were ready to take over. "VW is looking for calm in tough times to solve its structural problems," said Stefan Bratzel, head of the Center of Automotive Management think-tank near Cologne. "It remains to be seen whether the reshuffle will really help it going forward."